Organize the files, books, important papers, pens, pencils, and other stationery items while going from one place to another with organizer bag. It is available in jute as well now a day to give wide options to user to choose from. Designed to provide high utility and quality, it is sure to attract the onlookers while a user step out from his or her establishment with it. Jute organizer bags are a perfect way to keep a number of items safe and sound to carry them anywhere. They are designed to provide to meet functional as well as stylish needs of the users. 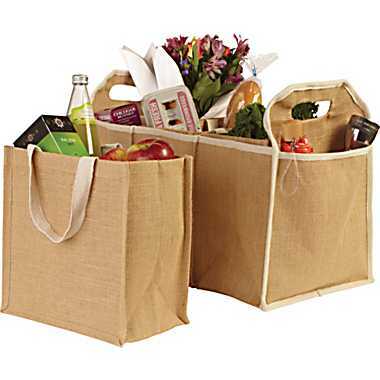 Jute organizer bags made from jute are the green and eco friendly option to keep the things systematically. 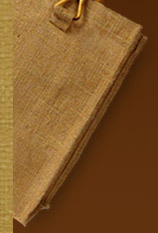 Their raw material that is jute is eco friendly in nature; hence they are also environment friendly item. Over the years, they have become the first and foremost choice for those who want to keep the environment and nature safe. In addition to this, its bio degradable nature also make them ideal to be used today, where concern the keep the environment safe has become the topmost concern for everyone. These high utility products are available in plethora of attractive designs, styles, patterns and colors. Jute organizer bags are available in a range of beautiful colors that ranges from the natural and earthy tone to varied enticing colors. They are treated, bleached or dyed to convert in various colors so that they can fulfill the needs of those, who like vibrant colors. Their high durability and strong nature allows them to provide high performance for a longer period of time. These jute organizer bags are free from wear and tear enabling them to use in rough and tough conditions as well. In the market, they are available with varied adornments with tones, gems, mirrors, laces, crochet work, patch work, embroidery, painting and so on to boost their natural beauty.